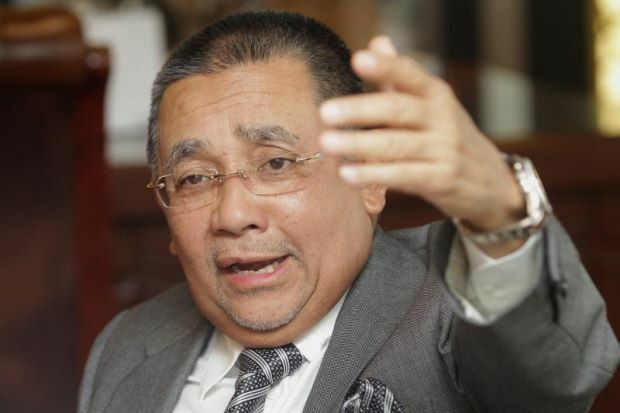 rocky's bru: Will Isa ever "die" so Felda and FGV may live? Bangsar, Fri: I've written about FGV deserving its own chairman. In A case for another Felda chairman, which I posted on this blog in in July 2013, I said even Felda would do better with another person in the Chair other than Isa Samad. I still believe that should be the case. Isa should go in the larger interest of Felda and FGV. Again, nothing personal against the former Negri Sembilan Menteri Besar. I've feel, that politicians, especially those who have exceeded their expiry dates, should not be rewarded with such important positions in GLCs and essential services. Tell me which retired, failed or/and overaged politician (with the exception, perhaps, of Johor Menteri Besar Ghani Othman, who is chairman of Sime Darby) has done really well as chairman of such institutions? Even Tun Dr Mahathir Mohamad did not do too well as Chairman of Proton. Go to Felda Chairman: Why Nazir Razak should consieder. "Even Tun Dr Mahathir Mohamad did not do too well as Chairman of Proton." Dr.M could have done well, if he had licked Pak lah's and Najib's behind. However, I agreed with you on Isa Samad. He should have been treated as garbage after being found guilty of money-politics during PAU 2009. Pak lah's SIL too, for that matter. Proton banyak perang saraf dari orang Cina. Camne nak berjaya Dan berjaya. Isa Samad ada jasa pada PM.Dia orang kata tolong masa kes kelawat kat Pd dulu. Bro i've feel bla bla bla is wrong on so many levels. Just i feel would have been enough. There is no such thing as "i have feel"
This is what raakyat wan to C action fr PM. Shows that Isa got nothing to blackmail PM.